IMG_9448, originally uploaded by Pink Lady on the Loose!. 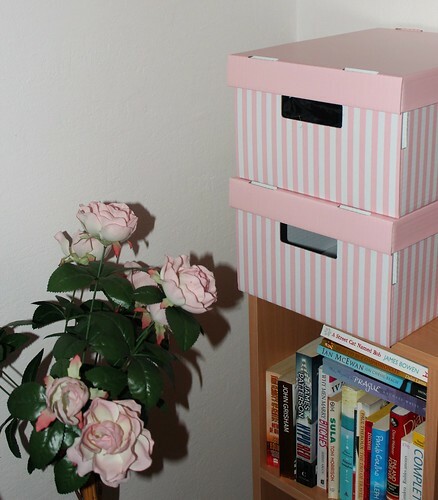 I bought these adorable storage boxes from Ikea and they perfectly match our plastic rose "tree", which was found near the garbage. In the Czech Republic, people will put anything that somebody might want near the garbage to indicate that it's up for grabs - really smart.